RYA - Powerboat Level 2	Il y a	1 produit. Provides the skills and background knowledge needed by the competent powerboat driver. More importantly, you will come away understanding how boats work, the equipement you will need and the type, style and design features that you would want on your boat should you decide to purchase one. RYA is the UK governing body representing sailing, windsurfing, motor boating, powerboating and personel watercraft at seaand on inland water. 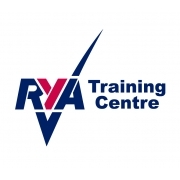 RYA training is recognised throughout the world and every year over 165,000 recreational and professionnal sailors take RYA courses and exams.